Our latest Plaine Promoter highlight is Colleen Patrick-Goudreau, aka the Joyful Vegan. Colleen is changing the way we talk about, think about, and treat other animals. Her mission is to empower people to reflect their deepest values in their everyday choices. Emphasizing the fact that being vegan is a means to an end, rather than an end in itself, she addresses all aspects of living healthfully and compassionately. Her topics include zero-waste, food, cooking, nutrition, ethics, animals, family dynamics, food politics, and social psychology. A recognized expert and thought leader on the culinary, social, ethical, and practical aspects of living vegan, Colleen Patrick-Goudreau is an award-winning author of seven books. She is an acclaimed speaker and beloved podcast host. She also co-founded the political action committee East Bay Animal PAC to work with government officials on animal issues in the San Francisco Bay Area. Colleen lives in Oakland, CA with her husband David and two cats, Charlie and Michiko. Tell us about yourself and Joyful Vegan’s message! By choosing to eat life-giving rather than life-taking foods, we’re saying “yes” to our values of wellness and health, of peace and nonviolence, of kindness and compassion. By choosing to look at what we do to other animals for our convenience and pleasure, we’re saying “yes” to our values of accountability, responsibility, and commitment to truth and knowledge. And by standing up for our beliefs and speaking up on behalf of those who have no voice, we’re saying “yes” to our values of justice, courage, and service to others. Being vegan is about saying “yes” to the bounty of plant-based options that are available to all of us. Being vegan is about saying “yes” to our values. What’s the use in having values if we don’t manifest them in our behavior? Being vegan, which extends to every area of our lives, is an opportunity to do just that: to put our abstract values into concrete action. It’s ironic, of course, that anyone perceives that being vegan is restrictive, since the majority of people, including all of us before we were vegan, walk around choosing willful blindness, closing our eyes and cuffing our ears saying, “Don’t tell me what happens to animals. I don’t want to know.” We quite explicitly hinder our awareness because we’re afraid to look, afraid to know, afraid to change. To me, that’s limiting. That’s restrictive. On the contrary, being vegan is about being willing to know, willing to explore, willing to look, willing to experience what is painful but true. To me that’s expansive. That’s abundance. That’s vegan. And, all of that applies to choosing to reduce waste as well! Do you have a favorite post or story you want to share? I think this post summarizes my thinking about “zero waste” best, and how incorporating more zero-waste actions into my life have resulted in a change in my perspective. What’s your best, easiest tip for minimizing single-use plastics? Minimizing single-use plastics, like anything, is about changing habits. Relying on a reusable water bottle, reusable-travel tea/coffee cup/thermos, canvas bag, etc. is all about getting into the habit of leaving the house with them — just like we remember to bring our wallet and keys. What do you think is usually the biggest blocker for people in regards to living a more sustainable lifestyle? When people think they have to do everything (i.e. be perfect, 100%), they typically do nothing. It’s incredibly self-defeating and counter-intuitive, of course. That’s why my motto is “Don’t do nothing because you can’t do everything. Do something. Anything.” It’s not that we CAN make a difference; it’s that we DO make a difference. Everything we do, everything we buy, everything we eat has an impact. We don’t get to decide whether we CAN make a difference or not; we get to decide only if the difference we inevitably make is negative or positive. There are no neutral actions. Do you have a favorite Plaine Product and if so, what is it? The conditioner! The conditioner I was using before cost $$$. 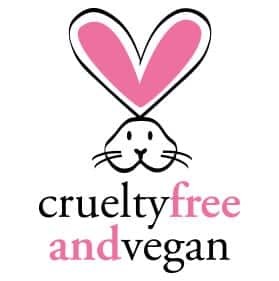 You might think that’s crazy, but for a fantastic, cruelty-free, toxin-free, vegan, natural conditioner that I loved, I was willing to pay it — especially because I had tried so many others that just didn’t work for my hair. 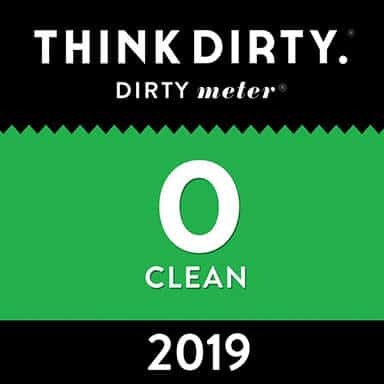 The fact that I’m paying much less now for a zero-waste, sustainable, plastic-free, vegan, toxin-free, biodegradable conditioner (and shampoo, etc.) is the icing on the cake!